So I know what you’re thinking… Where is the Thanksgiving post? Well let me tell you, you know how it’s a bad idea to talk about politics or religion? Same goes for a Southern woman’s dressing recipe. If you are from the South you know what I mean. Everyone’s dressing is “the best” and beyond reproach. Furthermore, it makes me laugh when magazine and cooking blogs tell you how to put “twists” on your traditional meal. If we wanted “twists” we’d visit our in-laws, am I right? Ha! What every red blooded American wants on Thanksgiving is the same thing their mom made when they were growing up. Nothing more, nothing less. So now for something completely different (but still potentially dangerous territory!). A true Southern Classic approved from Granny’s this side of the Mason-Dixon. Biscuits! Specifically Buttermilk Biscuits. This isn’t new fangled or inventive, let’s call it retro. And yes, I’m sure your mom’s homemade biscuits are “the best”, feel free to share her recipe in the comments! You can’t get much more southern than good old fashioned buttermilk biscuits. 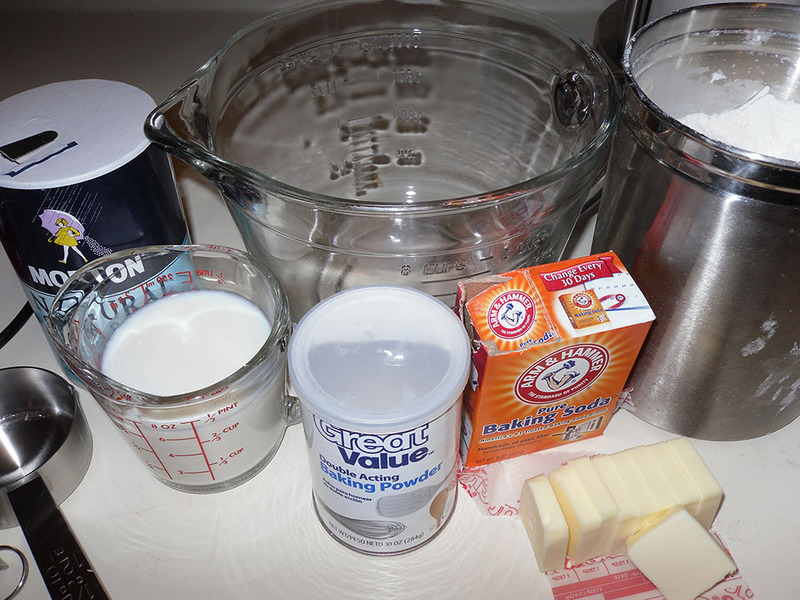 I don’t normally keep buttermilk on hand unless I’m making my spice cake or fried chicken. So we usually stock up on these yummy treats when it is around, we don’t want any of that good buttermilk to go to waste after all. Talk about a carb loaded week! Coincidentally, these are the carb portion of next week’s blog too – so save those scraps. Next week I’ll show you how to make chicken and dumplings with the frozen pieces of dough left over from your biscuits (the dumplings!) and my chicken stock for yummies. I use three sets of “left overs” so go ahead and try these tonight, and tomorrow and the next day! 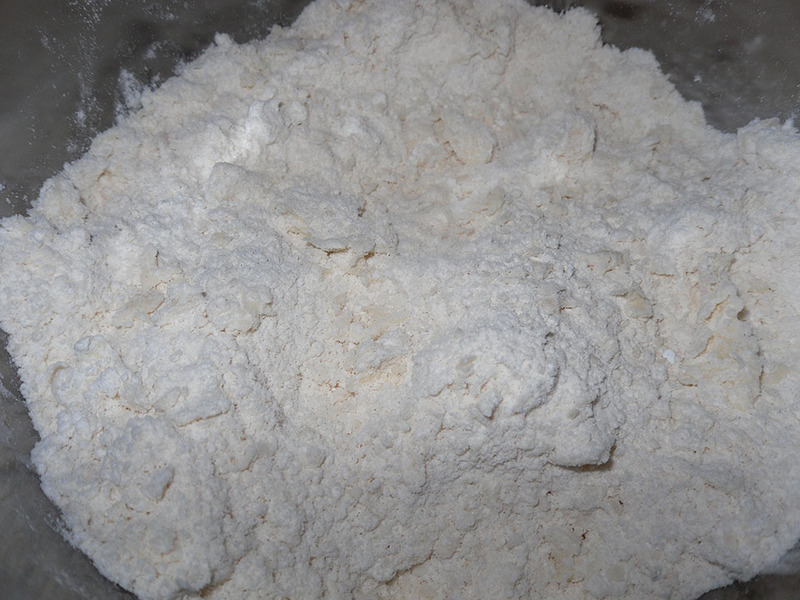 Mix together all dry ingredients in a bowl. “Cut” butter into your dry ingredients. I mash it together with a fork until the butter pieces are small then mix with my hands to evenly distribute all the butter. The mixture should form little pea size pieces. Then add your cold buttermilk, about half. Mix with a fork until combined. Add more butter milk till the dough comes together. 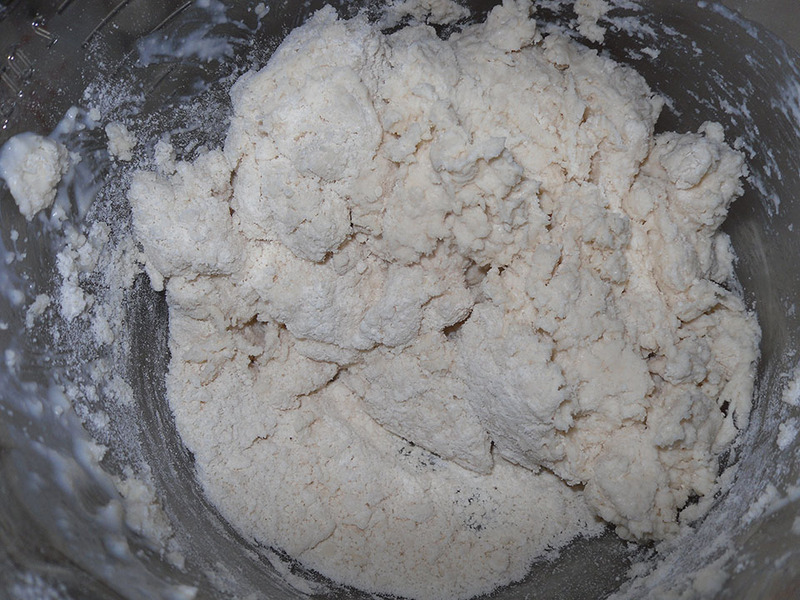 If you add too much buttermilk and the mix is super sticky and wet just add in a bit more flour. 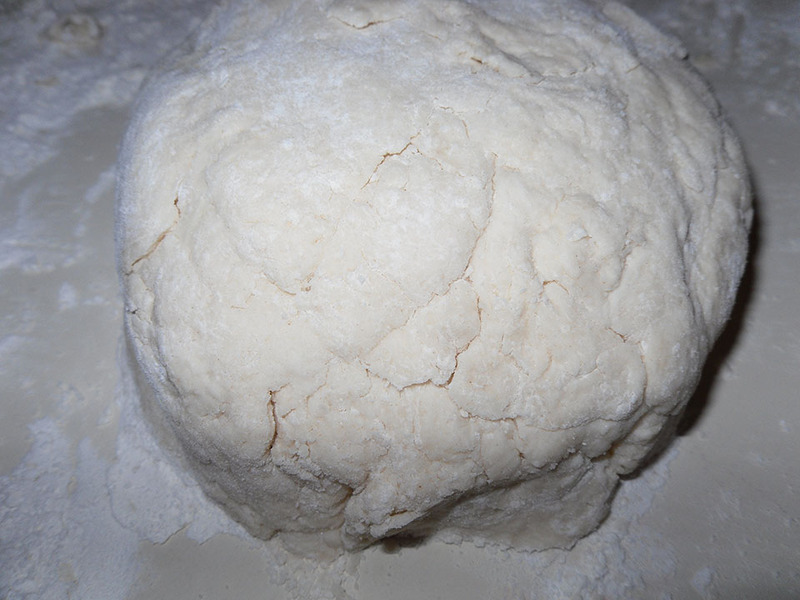 Dump out on to a floured surface and fold over 4 times, that’s all the kneading it needs. Pat into a disk about a quarter inch thick. Thicker for fewer biscuits. Use your hands until the pieces are pea sized. 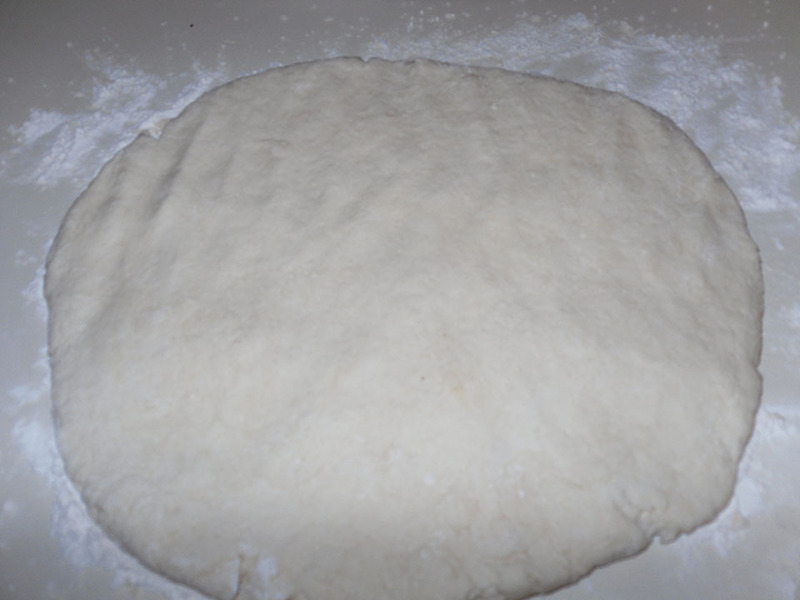 Pat dough into a disc a quarter inch thick. Set oven to 425 degrees. Use a glass or round cutter to cut out 12 or so biscuits. 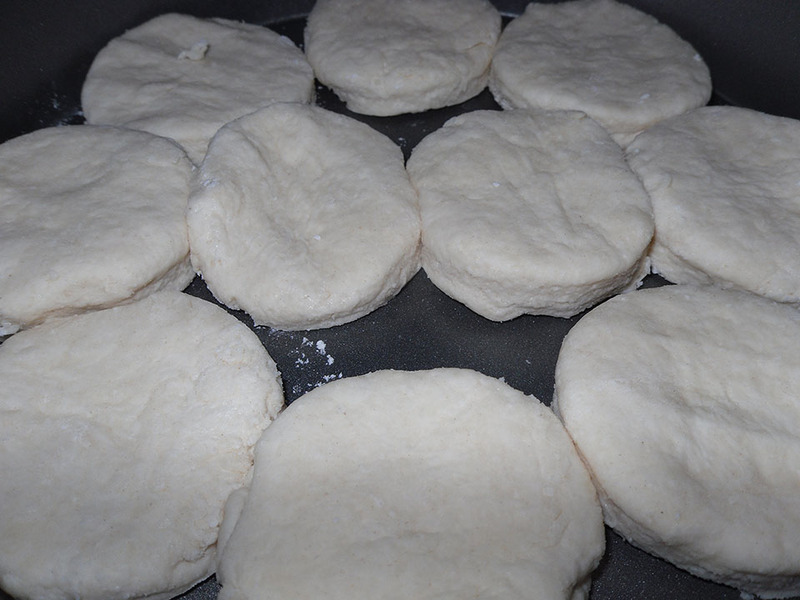 You can try to make more biscuits from the scraps, but they won’t be as tender or rise as high. The more you work biscuit dough the tougher the biscuit. 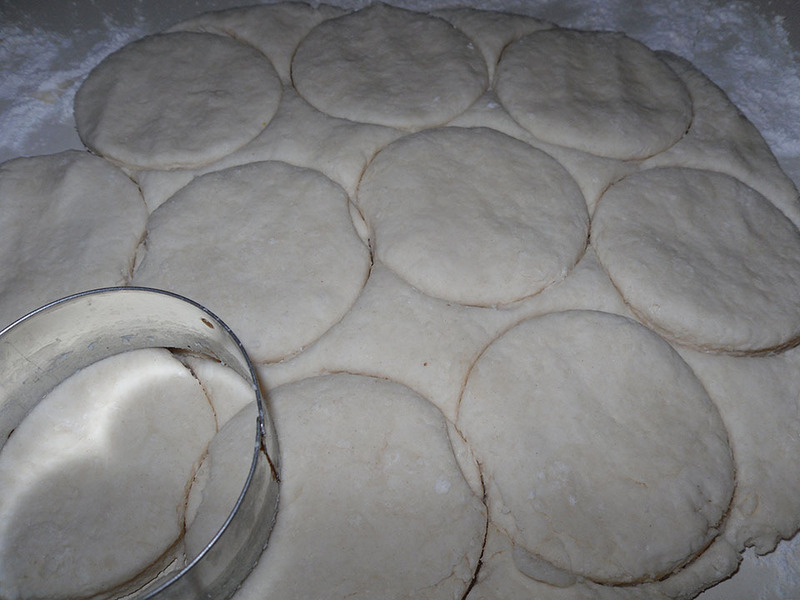 Place in a round cake pan with edges touching for softer biscuits, with edges apart for smaller denser biscuits. Bake for 12 minutes. Brush the tops with melted butter just before baking for more of a restaurant “this is so not good for me” taste. 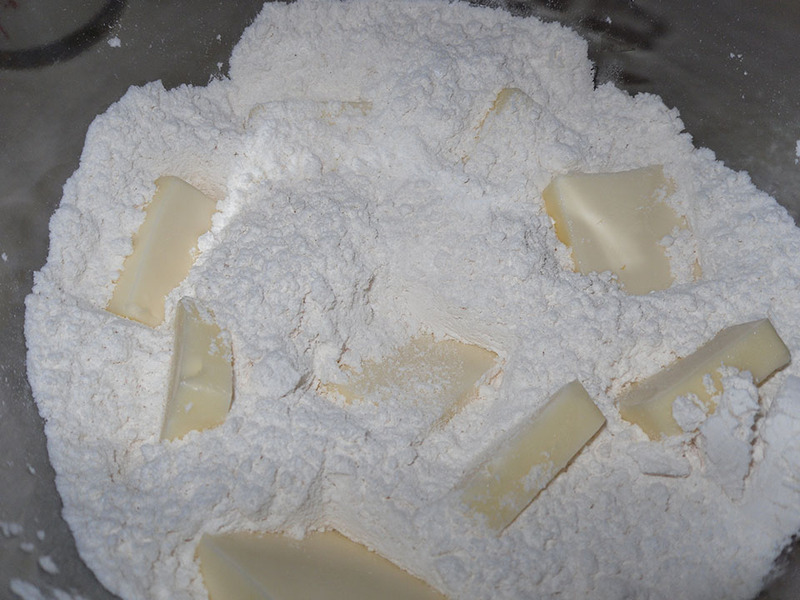 Freeze the left over pieces of unbaked dough in a zip top bag, with room between so they don’t stick together. We’ll use these next week for the chicken and dumplings I mentioned above. These will be gone in no time. They don’t even need butter… IF you have leftovers, which is doubtful, try halving them and toasting them with butter under the broiler for breakfast. We call that biscuit toast… it’s so good! Buttermilk Biscuits, ready to nom! 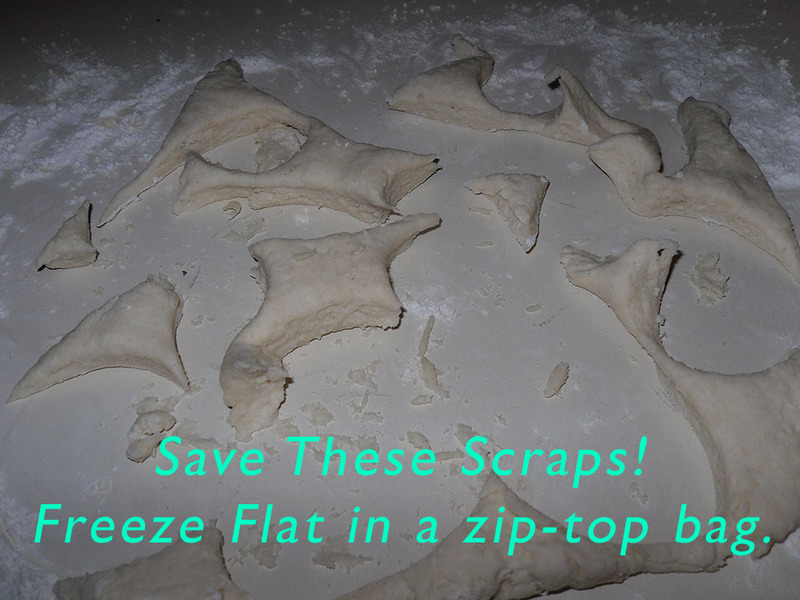 I love the idea of saving and freezing the scraps then using them later on for dumplings! I don’t like to throw any food away. I hate to waste anything plus this is a great time saver. I’m only feeding 2 so when we break down and buy a rotisserie chicken we have leftovers, this makes it super easy to throw together chicken and dumplings. 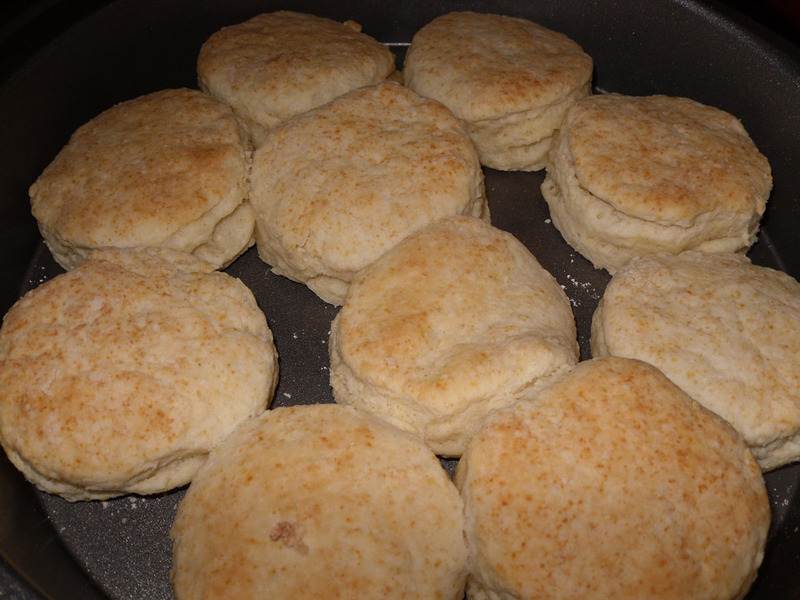 I *BLOVE* WHAT SHE SAYS ABOUT “a Southern woman’s dressing recipe!” Gonna try these biscuits soon.~ Janet S.
Oh my goodness, chicken & dumplings, it would be hard to beat my husband Tony’s recipe but youngster, we old folks can’t eat them but once a year. We’re on a health-kick and count fat grams, calories, sugar intake, sodium and you name it. Label reading is our current hobby. Sweet of you to share though. Some of the very best recipes are retro and beyond. This looks like a great recipe but I was really excited about your suggestion to freeze the scraps. I can think of all kinds of dishes they would be fabulous in, if I had them on hand that easily. Thanks so much for the idea!